Monitoring your urine color is a great way to tell if you’re getting enough water. And getting enough water is a great day to stave off dehydration. The 2017 recipients of the National Duty to God Award have worked to make it easier and more fulfilling for a Scout to be reverent. This summer, a 17-year-old Eagle Scout from Troop 505 of Austin, Texas, is hiking the entire Appalachian Trail. That’s a journey of 2,190 miles. On Aug. 21, 2017, the solar system serves up a special treat: a total solar eclipse. Like all the best celebrations, this one comes with its own patch. When Kevin McCarthy was deciding how to customize his graduation cap, he wanted to find a way to show off his Scouting pride to his classmates and family. A world-class ATV experience awaits Scouts and Venturers at the Summit Bechtel Reserve in West Virginia. It’s called the Polaris OHV Center for Excellence. 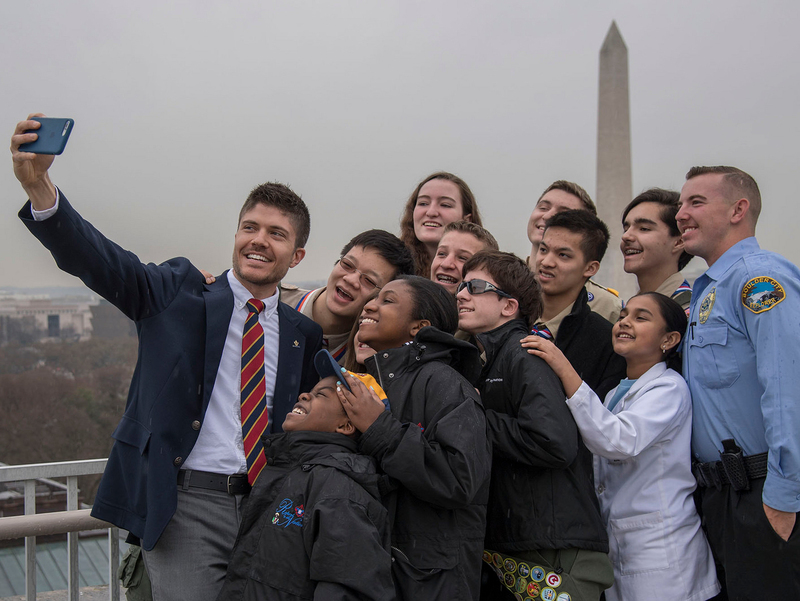 The 2017 National Jamboree app, available now on iOS and Android, was developed by BSA volunteers and is powered by AT&T. If you had to pick just one point of the Scout Law to describe Isaiah V., it would be brave. That same word applies to his mom and dad, too.